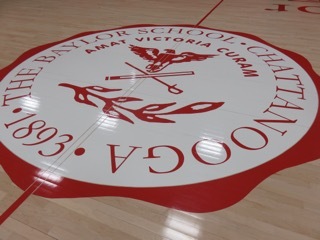 A middle-aged man briefly wandered through the sloping hallways of the James Duke Arena and out onto the Austin Clark Court at Baylor School late Thursday afternoon with little attention thrust upon him. One former schoolmate now there as a parent stopped and briefly talked with him with his son, but the small number of students still around the athletic complex close to suppertime were totally unaware of who he was. 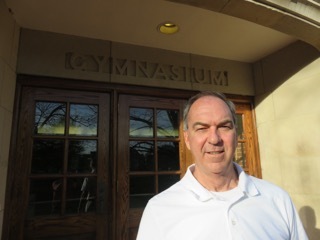 As a result, no one bothered him as he nostalgically looked around in one of his few visits back to the school’s gym since graduating 40 years ago. He talked about opening the upper windows in the old facility years ago when it was hot, about how tight the rims on the goals once were, and where coach Duke would put the keys for him to turn on the lights and practice after hours. He was getting reacquainted with a dear old -- albeit inanimate -- friend, where for several years in the late 1970s he was the resident maestro with his high-level string music. The man was Jimmy Braddock, who later played for Dean Smith at North Carolina after a stellar Baylor career that many longtime Red Raider observers consider the best ever by anyone wearing red. Mr. Braddock has moved back to Chattanooga in recent months from Columbia, S.C., where he was once a solid basketball coach at the independent Hammond School and won a state championship. He is getting ready to marry and has enjoyed doing tax preparation work in recent years. And he said he hopes to get back involved in basketball more fully in some kind of supportive or mentoring way, although no longer likely as a head basketball coach. 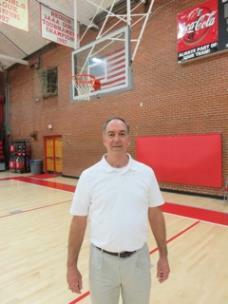 He has occasionally been profiled in the local media in recent years for the Grace Baptist Academy basketball summer camp he has coordinated. And he was recently interviewed by Paul Payne in chattanoogan.com about a humorous incident when he ran into a cheerleader in the 1983 NCAA tournament while playing for North Carolina. But he has not talked a whole lot publicly about his Baylor days and how he developed into a high school phenom, who drew the attention of several well-known college coaches. However, he recently agreed to sit down and reminisce. As he continued to reflect for about 90 minutes from the plush Ireland Lounge inside the arena, he was full of memories. But it was just as much about the team and those who helped him in a supportive way as reminiscences about such achievements as scoring 58 points in a game. And he uniquely seemed to treat his old high school teammates with as much respect and appreciation in his reflections as he did his famous North Carolina teammates like Michael Jordan and James Worthy. The youngest of four children of Houston and Mary Braddock, he came about basketball naturally. His 6 foot, 3-inch father had played on a state runner-up team at Central High with such players as Howard Sompayrac and Charley Hicks before graduating in 1945. The elder Braddock was going to play basketball at Georgia Tech, but eventually went into the Army and got married. “My dad was the best basketball player in the family,” his son proudly remembered of his late father. But Jimmy did not gravitate toward basketball early on, as he would not realize his father had been a basketball standout until junior high. His first love was actually baseball. He started out as a first baseman due to an ability to catch the ball, but eventually focused on pitching. However, he thought the game moved a little too slowly for him, even though he would play for several years. His late brother, Tommy, who was 12 years Jimmy’s senior, played basketball at Central against some of the great Riverside High teams of the 1960s, and Tommy and his friends would sometimes shoot hoops at the family home. As a result, Jimmy was soon also hurrying toward success in basketball. He began playing organized basketball in the fourth grade while a student at Spring Creek Elementary and began soaking up the sport. His father had taken him to a lot of high school games around the area, and neighborhood friend Roger Thomas’ father, who was a big Kentucky fan, took the youngsters to some games. They once saw Kentucky play Vanderbilt in Nashville, and Jimmy got coach Adolph Rupp’s autograph as well as those of such players as Kevin Grevey. About the same time, his mother had gone to a Billy Graham revival in California and had gotten UCLA coach John Wooden’s autograph, and that became his favorite team when the Bruins were the dominant force in college basketball in the 1960s and early 1970s. He also saw a couple of games at UT’s Stokely Athletics Center, including against then-powerhouse South Carolina featuring Kevin Joyce, as well as some UTC games at Maclellan Gymnasium featuring his future assistant coach, Doug Hale. As he was moving on through elementary school, he and his family were thinking about whether he should go to McCallie, Baylor or East Ridge Junior High. He was seriously thinking about going to McCallie and enjoyed watching top Blue Tornado guard Greg Keith play and light up the scoreboard. He even met McCallie coach Bill Eskridge through the elder Mr. Thomas. But the summer after his sixth grade year, he decided to attend a Baylor basketball camp, knowing Riverside High star Anthony Roberts was going to be there. He recalls how pretty the Baylor campus was when he saw it the first time arriving for camp. The scene at camp seemed pleasant as well. And he remembered that Anthony Roberts took a liking to him. He was just wanting to rebound for him during one break in the camp, but Anthony instead rebounded for him. He continued to follow Mr. Roberts’ career into the NBA and he had become among Mr. Braddock’s favorite players. He was sad to learn several years after the fact that Mr. Roberts had suffered from substance abuse issues and ended up dying in a violent way in 1997. Mr. Braddock understands that Mr. Roberts has a grandson now playing for Tyner Academy and hopes to see him play in the future. In 1973, Mr. Braddock took the test and everything fell into place for him to enroll that fall as a seventh-grader. His basketball skills had already developed to a high level, and he was the star of the seventh-grade team under Mose Payne and even was asked by Gene Etter to join the ninth-grade team later in the season after his team’s season was completed. He also even helped coach Duke’s varsity team warm up before a game or two with some Pete Maravich/Harlem Globetrotters-like ball handling and passing during layups. By his eighth-grade year, he joined the ninth-grade team, which uniquely practiced in the still-standing original gym building that dated to 1915. But he was definitely a player of the future. Despite his later accomplishments that eventually went into the professional level, Mr. Braddock still has cherished memories of that period. 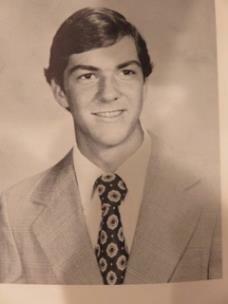 He remembers when Frank Fesmire made a winning basket against McCallie that year after the team overcame a late deficit. And while everyone was celebrating on the court, the future Dr. Fesmire had already headed into the locker to take a shower, Mr. Braddock remembered with a laugh. By his ninth-grade year, Jimmy was a member of the varsity team, which was a rarity in those pre-travel team years. Not only that, but he started and made all-city. As a sophomore, he would be a member of the Baylor team that would beat McCallie for the first time in several years and win 19 games. Among the seniors on that team, which Jimmy still speaks of with respect, were such players as Barry Loveless, Bobby Locke and Levko Klos, among others. By his junior year, Mr. Braddock was averaging 28 points a game, and fans – and college coaches – were starting to take notice. But Jimmy was quick to point out in the interview the team aspects of the game that year, including the fact that Baylor was the first team to win the old Chattanooga Interscholastic League championship, stand out. And he also talks with respect of such seniors on that team as Joe Jumper, Rob McRae, Johnny Hartman, and Frank Fesmire. By his senior year – the 1978-79 season – the word was definitely out about Mr. Braddock. In fact, it was getting ready to be a season to remember. scoring 43 points in a wild win over Notre Dame, scoring 47 points in a matchup against future Kentucky player Derrick Hord and future Clemson player Marc Campbell of Tennessee High at Bristol, and scoring 42 against Memphis Briarcrest. Against an outstanding Macon Southwest, which had future Georgia star Terry Fair and other prospects, he scored 37 in Atlanta’s Omni arena in a loss. The Red Raiders went on to beat Brainerd in an upset after Braddock scored 44 points, including 24 via free throws. He later reached his 2,500th career point against Tyner. 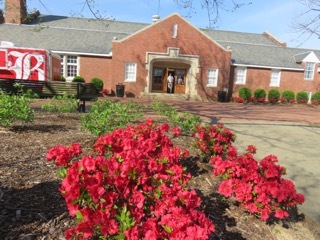 The team also beat McCallie twice during a season in which the games started being played at UTC’s Maclellan Gymnasium. The individual highlight of his senior year, though, was still to come. It would come on Senior Night in the home finale against Soddy-Daisy. Mr. Braddock, who was the team’s point guard, remembered that he was looking forward to helping such other seniors as Buster Brown, Craig Taylor and others have an enjoyable night by passing them the ball, or working it to big men Chip Headrick, Rick Simpson, and others. “I came out passing and the ball kept coming back,” he remembered with a laugh. By the end of the game he had scored an amazing 58 points to set a Chattanooga game scoring record held by a former City High player. He said he later heard that coach Duke had a different strategy from what he was originally intending to do. That would give him an impressive 35.5 points per game scoring average for the season, even before the days of the three-point goals. Mr. Braddock was skilled at shooting the outside shot, estimating that at least 30 percent of his shots, and maybe more, were from what would today be outside the three-point arc. But he was also a quick and skilled enough ball handler that he knew how to penetrate and draw fouls and shoot free throws. Jimmy said his father had told him the importance of being able to shoot free throws, saying it might account for 6 or 8 points for a player in a typical game. Besides looking at the goals for Mr. Braddock’s and the other players’ shots, Baylor supporters that season also scoured the stands looking for a few familiar college coaches, who showed up at both games and practices. With coaches watching and the team counting on him so heavily, it might have been easy to think that Mr. Braddock felt extra pressure to produce. But that was not the case in his mind at all. Many local fans might have assumed he would end up at a school like Tennessee due to proximity, and that was one of the four schools he decided to visit and seriously consider. The others were Kentucky, Duke and North Carolina. While he had been a UCLA fan from afar as a child except when the Bruins played against what is now Memphis in the 1973 NCAA finals, he realized that was too far away and did not seriously consider it. He liked Tennessee OK, but wanted to play on a team where he could possibly play in the Final Four or for a national championship. And Tennessee had not done well in the past in the NCAA tournament, despite some good records in the SEC in the 1970s. He also did not realize until after the fact that Tennessee would sign future SEC legend Dale Ellis of Marietta, Ga., in that same class. He also admired Kentucky and its history, and enjoyed visiting Duke, which was coached by Bill Foster before coach Mike Krzyzewski arrived in 1980. In 1977, North Carolina had played the victorious Marquette in the national championship game at Atlanta’s Omni. By good fortune, he was invited by high school friend Tracy Seretean of Girls Preparatory School to attend it. Her father was an owner of the Atlanta Hawks, who played in the Omni. Although he was not sure his parents would let him go, they did, and that was the first time he saw North Carolina play in person. He enjoyed watching the Tar Heels, although his team was still UCLA simply as a fan. However, UNC evidently soon took a liking to him. They – including head coach Dean Smith and assistant Roy Williams -- began recruiting him. Back at the Omni nearly two years later, he committed to coach Williams after the Macon SW game. 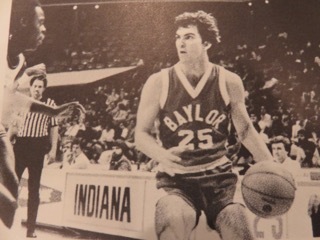 Following the next game, a five-point upset victory over Brainerd, the media learned where Mr. Braddock was going to play collegiately, according to the 1979 Baylor yearbook. A big spread on his choice of UNC also appeared in the News-Free Press. In explaining his decision 40 years later, Mr. Braddock said he could have probably played plenty at Duke, which was rebuilding when Coach K arrived, but North Carolina seemed to best fit his two criteria. That included a team that could go far regularly in the NCAA Tournament at that time, and a place that was not too far geographically for his parents and family to come to some games. While his senior year had fallen into place perfectly beyond his grandest dreams, a physical kind of fall soon put a damper on everything. Coach Duke had encouraged him to aim high and try to make the prestigious McDonald’s All-American Team – and even took him to a McDonald’s game in Louisville, Ky., and got him into some five-star camps to get noticed nationally. Coach Duke was known for putting students first and often operated on little sleep due to such actions and by staying up late preparing for a game. Late in Mr. Braddock’s senior year, he learned he had made the prestigious McDonald’s All-American team. Not long after that, he was working out in the Baylor gym and playing a pickup game when he came down on someone’s ankle and tore some ligaments in his ankle. In severe pain, he was carried down the hall to trainer Sandy Sandlin’s room and soon was taken by Jimmy’s father to be examined by Dr. Barry Heywood. Knowing he wanted to at least go to the all-star game in Charlotte and take part in all the festivities, even if he could not play, they stabilized his ankle and operated on it later. The person who took his place on the team was Dereck Whittenburg, who would become famous for the short shot that was later picked up by Lorenzo Charles and put into the basket to give N.C. State a last-second victory over Houston in the memorable 1983 NCAA national championship game. Reluctantly, Mr. Braddock also called coach Dean Smith and was fearful they would not want him on the Tar Heel team now that he was injured. He said, “You’re going to be fine,’ ” Mr. Braddock recalled, saying that made him feel better. He said coach Smith had always been honest with him, telling him even before the injury that he may not play a lot as a freshman. Mr. Braddock was able to start healing and even played on the Junior Olympic South team that summer for Western Kentucky coach Gene Keady, later the longtime coach of Purdue. 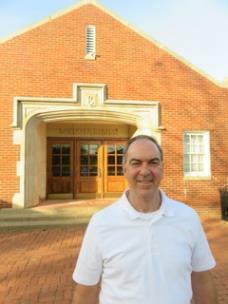 Mr. Braddock remembered that when he arrived at UNC in the fall of 1979, he was still only about 80-85 percent healed. But that did not deter him, as he slowly continued pushing, playing a little as a freshman and more each year until starting and serving as a captain his senior year. He also got to play with such stars as Michael Jordan, James Worthy, and Sam Perkins, among others. He roomed with James Worthy his freshman year and later with Matt Doherty, who eventually became the head coach of UNC in what was an unsuccessful stint for Tar Heel fans. And team wise, Mr. Braddock got to accomplish all he wanted at UNC, including a national championship. “That was my dream come true when we won a national championship,” he said of the 1982 accomplishment over Georgetown after the team had lost to Indiana and coach Bob Knight in the finals the year before. His senior year also offered a unique opportunity to play at the fairly new UTC Arena in December 1982 in a homecoming for him. And it ended well with a Tar Heel victory over a good Mocs team under coach Murray Arnold. After UNC and an Elite 8 upset loss to a hot Georgia team his senior year, he was drafted by Denver of the NBA. But since they had only one slot open on the team, he went on to play – at the encouragement of coach Smith -- four years overseas in Ecuador, Holland, on a European traveling pro team and in New Zealand. It was a dream-come-true journey that took him across the nation as a collegian on a high-profile team and then around the world as a pro. But looking back exactly 40 years later, he is equally humbled over what took place right here in Chattanooga. And he knows he did not do it alone. In fact, he called back after the interview and said he had always wanted to thank everyone who helped him and had not previously had a chance. And now, he thought, was the right time to do it. “I want to thank my Lord and Savior Jesus Christ for giving me the ability to play the great game of basketball,” he said. “And I want to thank my parents and family and Coach Duke and Coach Hale and all the coaches. 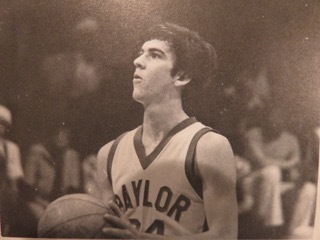 “And all the teachers at Baylor for putting up with me,” he said, jokingly remembering that people like teacher Bill McMahan did not go too hard on him when he was a little late for class due to shooting baskets in the gym. To listen to Jimmy Braddock briefly reminisce about his Baylor career, click here.